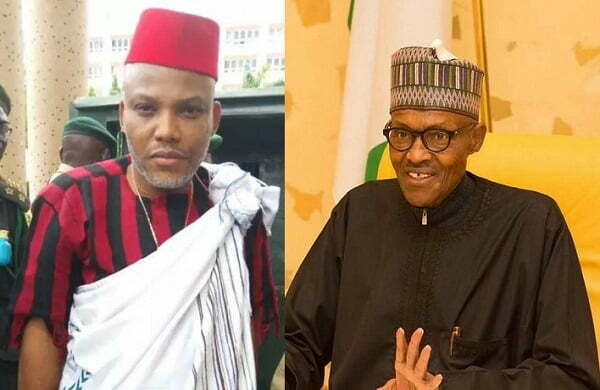 Discussion in 'BIAFRA' started by Prezzy, Oct 28, 2018. He added , “No restructuring, no elections in 2019, southern leaders. “All we have asked for is our freedom, but Igbo men, who claim they are politicians brought deaths to us. We have said it time and time again, we want our freedom. Perhaps, some of you are comfortable being slaves, we are not. “Why do they want me dead? Biafrians should ask them. “South East Governors and Ohaneze proscribed IPOB under serious pressure. “Igboland has been shrunk to just five states. If you go to Opobo, if you speak, Ibo, somebody there will understand you. We have indigenous Igbo speaking people in Kogi state but nobody is talking about them. Ohaneze and Igbo leaders are merely interested in furthering their own interests. “I told them that I want them to open Igwuocha seaport, Warri seaport, Calabar airport, dredge river Niger. I told them I want 100 per cent resource control…I never heard from them again. “Some of you have stopped talking about Leah Sharibu. “Why will a judge say, release El Zakkay and he is still in prison?